Notwithstanding maritime disputes, the hunger for Malaysian food in Singapore has hit an all-time high. Earlier this year, the group opened its first Malaysia Boleh! branch in Malaysia. The 8,000 sq ft foodcourt is at Four Seasons Place, Kuala Lumpur. This move allows its staff in Singapore to receive training at the Malaysian branch and ensures a pipeline of trained Malaysian cooks, who are given the option to relocate to Singapore. Ms Joyce Yao, 36, its marketing communications manager, says the hotel hits its full capacity of 150 diners every time it holds the buffet. On weekends, it opens a function room to accommodate additional diners. 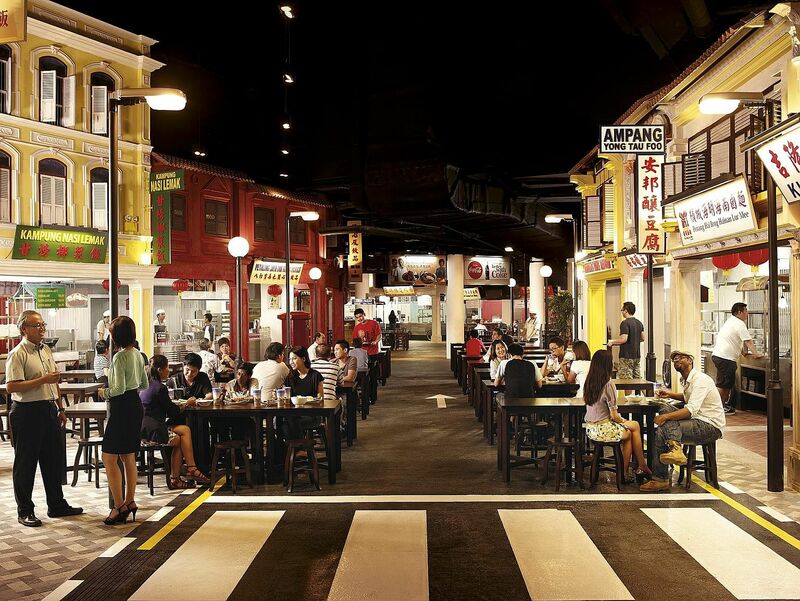 Six years on, the 22,000 sq ft Malaysian Food Street at Resorts World Sentosa continues to thrive. Dishes such as Malacca chicken rice balls and Heun Kee Claypot Chicken Rice continue to sell out at the 750-seat foodcourt. Marketing manager Chloe Ang, 30, who enjoys going to Malaysia with her family for holidays, says: "When we dine at the Penang-style restaurants here, it reminds us of our travels over the years, where we spend most of our time eating." The retiree says: "There is good variety and the food is reasonably priced. 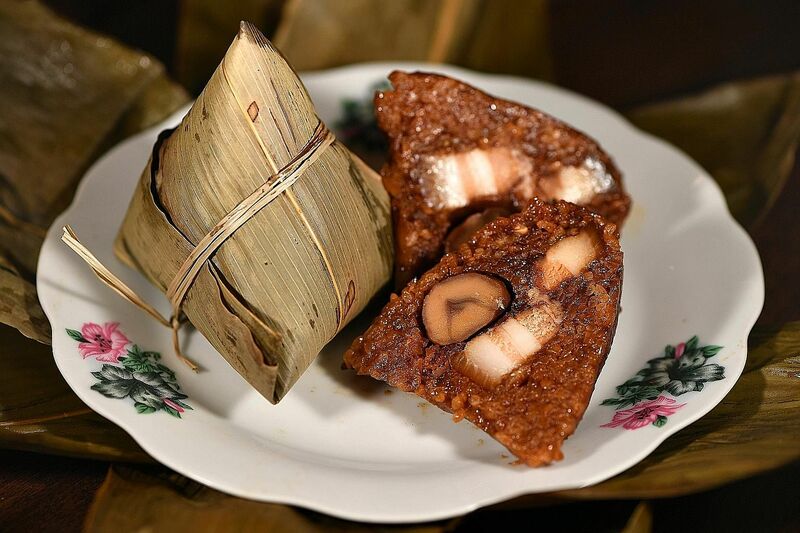 While it can't beat dining in Malaysia, the flavours are not too far off." Do not miss the char siew and roast duck (above) from this stall. 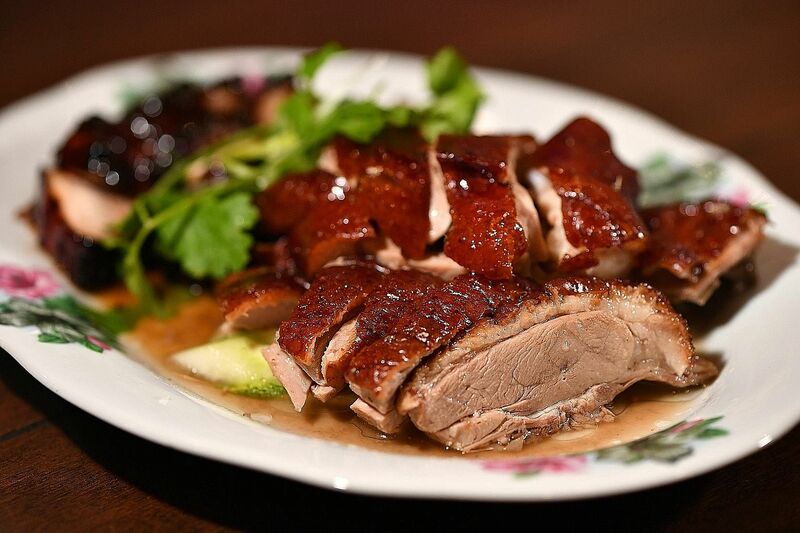 The char siew ($10 for a portion) has well-marbled tender meat and a delicious sticky glaze. Char siew rice is priced at $3.50 and duck rice is $3.80. Tuck into soon kueh, chive kueh and rice kueh ($1.20 each) as well as yam kueh ($1.50) at this stall. It is a good breakfast option as it opens at 8am. A slightly different version of the lor mee found in Singapore, this one-bowl wonder ($4) from Bukit Mertajam town in Penang includes pig's skin and intestines. • Selected stalls at Malaysia Boleh!, B2-41/42 AMK Hub, open from 8am to 10pm daily. Others open from 10am to 10pm daily. 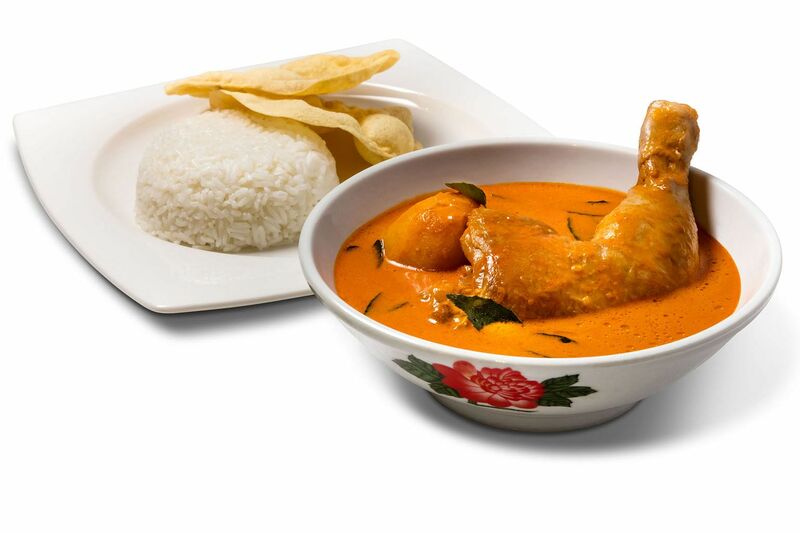 The curry chicken, which harks from Sempalit, a village in Pahang, is made with a blend of dried chilli, cumin, coriander, cinnamon, garlic, ginger, curry leaves and coconut milk. 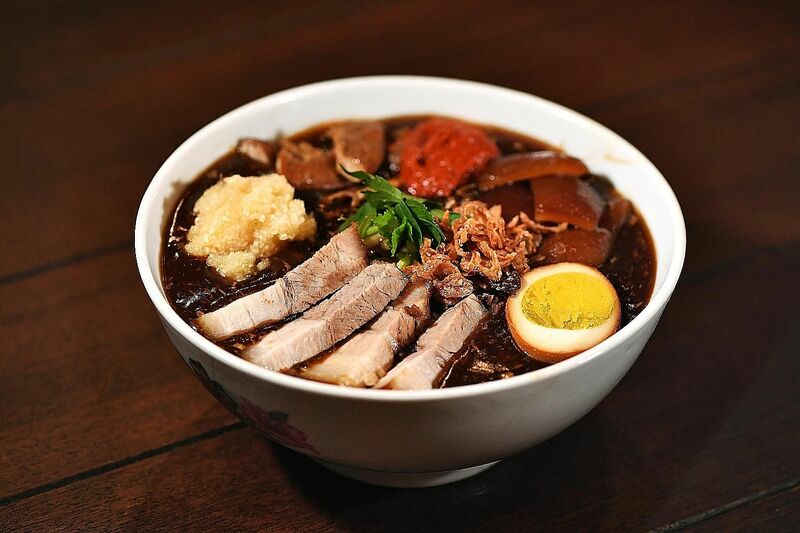 This signature noodle dish from Hong Cha Restaurant in Kuala Lumpur features a broth made by boiling pork and pork bones for hours. 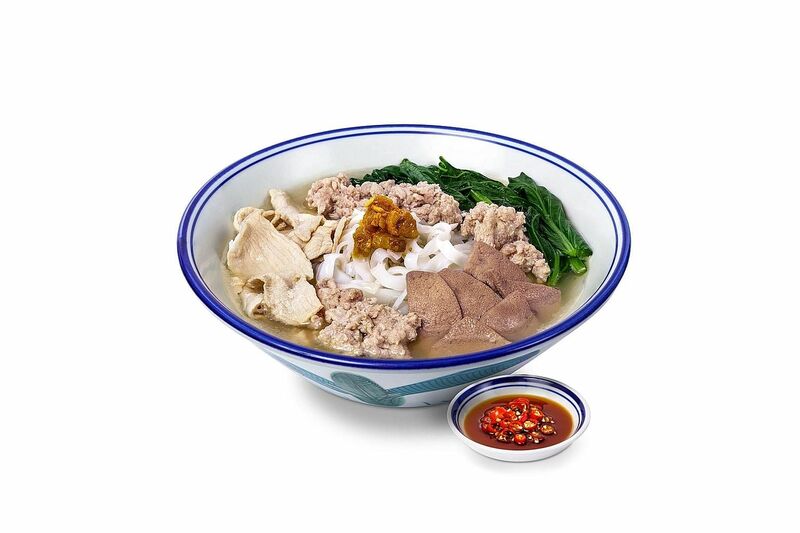 The noodles are topped with pork slices, minced pork, pig's liver and pork lard. The stall will open in February next year. 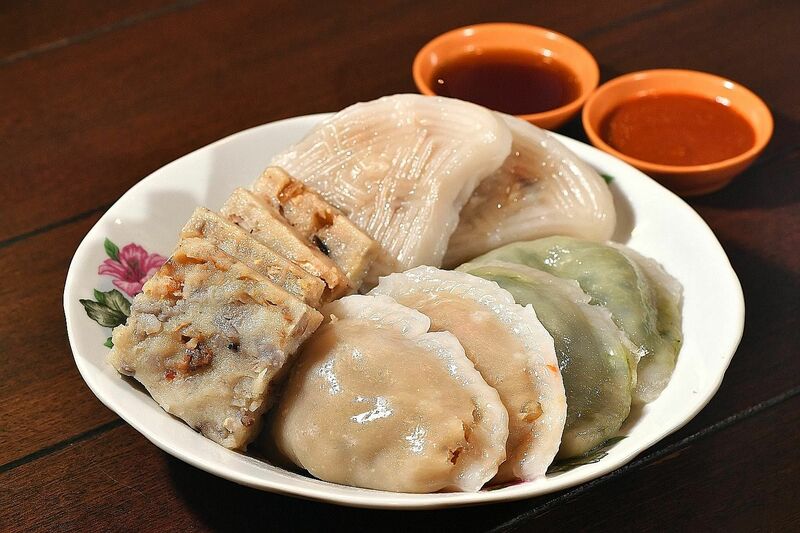 • Malaysian Food Street at Resorts World Sentosa is open from 11am to 9pm (Mondays to Thursdays) and 9am to 10pm (Fridays to Sundays and public holidays).